Subaru has unveiled a stunning Impreza five-door hatch design concept at the Tokyo Motor Show. Fuji Heavy Industries (FHI), the maker of Subaru vehicles, says the design previews the next generation Impreza. 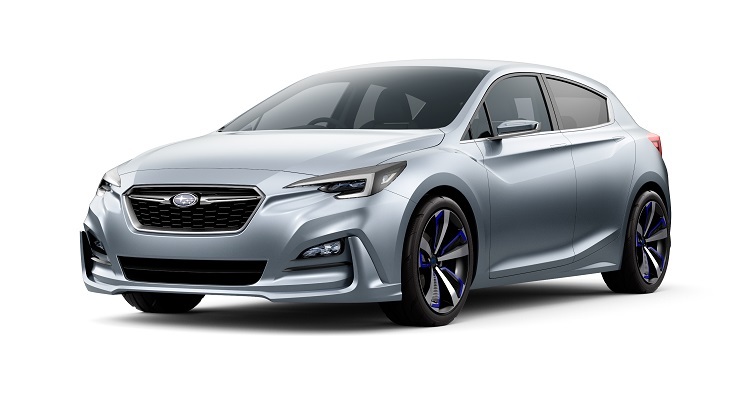 FHI says the concept represents a bold expression of Subaru’s dynamic and solid design elements and a quality feel beyond its class – hinting not only at the design direction of next generation Impreza but of future Subaru models generally. Excellent aerodynamic performance is achieved while blending functionality into styling. The Impreza concept projects a wide and low sporty stance, incorporating Subaru’s signature hexagonal grille and hawk-eye headlights. The rear combination lights share the same thematic desIgn as the headlights. Also making its world debut in Tokyo is the VIZIV Future Concept, which includes automatic driving functions and other advanced safety technology. The VIZIV Future Concept is described as an SUV-type concept model. Its technologies include automatic driving capability, resulting from the ongoing evolution of Subaru’s EyeSight driver assist system. The powerplant combines a down-sized turbocharged engine with a hybrid system. 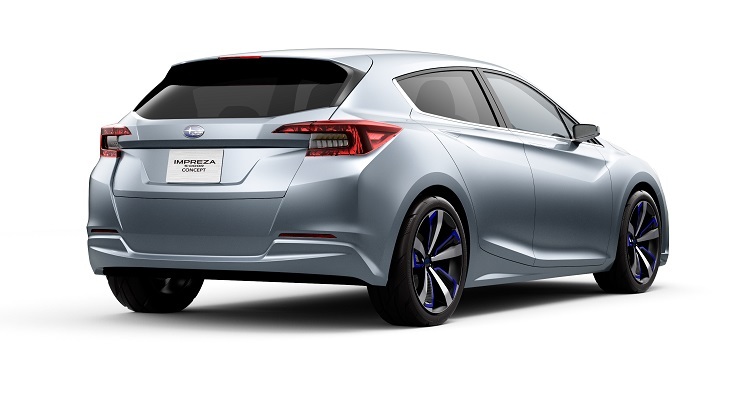 The design is based on the concept of “Subaru and Active Life” and features an All-Wheel Drive platform and Subaru’s signature hexagonal grille. Inside, a camera for monitoring the driver is located on the instrument panel glare shield.